Invasive species grow in profusion and produce a significant change in terms of composition, structure, or ecosystem processes. Exotic species may become naturalized or invasive in a habitat. Native species may also be invasive. Invasive species tend to spread rapidly through both sexual and asexual reproduction. They often have wide ecological tolerances and can be successful in a range of habitats. Invasives are usually not susceptible to pests or herbivores in the new habitat. They are able to outcompete native plants for space, light, and resources. Many invasives have been introduced to new habitats by humans, both intentionally and unintentionally. Disturbed habitats and islands tend to be more susceptible to plant invasion. Plant infestations in wetlands may bring about changes in both plant and animal communities. Floating invasives such as Eichhornia crassipes and Salvinia molesta can shade the water column, reducing light and the phytoplanktonic production of oxygen. Invasive plants such as Melaleuca quinquenervia and Tamarix species may change the local hydrology through increased transpiration. 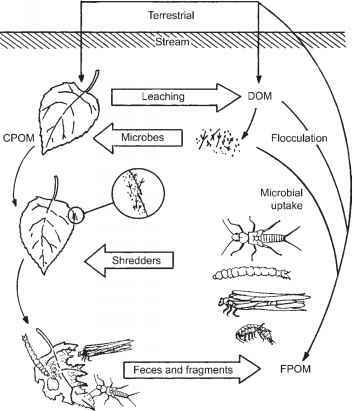 Invasives affect humans by expanding the habitat of vectors of waterborne or water-related diseases. They also clog water intakes, interfere with aquaculture, and block access to boat docks or swimming areas. Invasives are controlled by altering their habitat or by using mechanical, chemical, or biological controls. A combination of control methods is usually the most effective. Five of the most noxious of wetland invasives in the U.S. and elsewhere are Myriophyllum spicatum, Hydrilla verticillata, Eichhornia crassipes, Lythrum salicaria, and Phragmites australis. Sometimes invasives are undesirable in one area and desirable in another. Such is the case with P australis, which is invasive in many North American wetlands, but in decline in some parts of Europe where wetland managers are striving to restore it.